Charge Stacking is a term in the legal system that’s usually understood when it’s too late. As noted by the organization, Seeking Justice for the Innocent, the sheer power it carries can be catastrophic, and thus should be a prime fear of all defendants who enter to the mercy of the courts. Charge Stacking has ravaged the lives of so many, and as an example, Quartavious Davis was 20 years old in 2012 when he committed his first offense and received a staggering 1,941-month (162 years) prison sentence without the possibility of parole. Davis was convicted of participating in a string of armed robberies in the Miami, Florida, area in 2010. His accomplices testified against him, saying he carried a gun during their crimes and discharged it at a dog that chased them after one of their burglaries. But Davis was not convicted of hurting anyone physically, including the dog. The practice of charge stacking is a simple and terribly effective method for prosecutors looking to win cases. 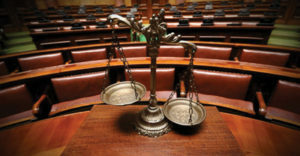 As broken down by Seeking Justice for the Innocent, the technique entails finding as many possible criminal counts to “stack” against the defendant in order to strengthen the core case of the prosecution. This strategy is made wide open to prosecutors, because the main deterrent against stacking charges is the law of double jeopardy. In Blockburger v. United States, the Supreme Court said the government may separately try and punish the defendant for two crimes if each crime contains an element that the other does not. Therefore, double jeopardy is so weak a deterrent that a person can be convicted of ten counts of perjury when they were perjuring about one thing on ten different days. Turning one crime into many is easily done, and with this in mind a prosecutor can easily circumvent laws of double jeopardy in order to lump, for example, drug offenses with conspiracy – some laws like this are broad and easily manipulated to fit many cases – gun use, money laundering, and a laundry list of other charges together. At first glance this may not seem so bad. After all, the criminal who gets taken down for serious drug crimes is often guilty of these other charges and probably deserves punishment for them. When charge stacking is without limit, however, lesser criminals may suffer under the weight of this exorbitant practice. Because many victims of charge stacking are individuals of color, a petition has emerged on colorofchange.com that calls on the Department of Justice, Supreme Court, FBI, Congress, Mayors, District Attorneys, Sheriffs and Chiefs of Police to make it a felony to stack false and fabricated charges against all races. The petition seeks 200 signatures and those who’ve signed thus far have voiced their concern with charge stacking. “Innocent people are victimized by stacking false and trumped up charges,” Betty C. said. To view the petition, click here.